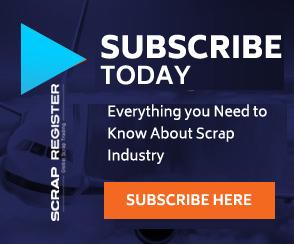 NEW YORK (Scrap Register): United States scrap gold prices advanced further on the Scrap Register Price Index as on Tuesday, in line with gold futures prices at New York Mercantile Exchange due to a weaker dollar helping to lift prices to their highest finish in more than five months. The major gold scrap commodities prices including 9ct hallmarked gold scrap, 14ct hallmarked gold scrap, 18ct hallmarked gold scrap, 22ct hallmarked gold scrap, 9ct hallmarked gold scrap, 14ct hallmarked gold scrap, 18ct hallmarked gold scrap and 22ct hallmarked gold scrap on the Scrap Register Price Index advanced on Tuesday. The 9ct hallmarked gold scrap, 14ct hallmarked gold scrap, 18ct hallmarked gold scrap and 22ct hallmarked gold scrap prices gained by 0.82 percent to 451.159 an ounce, 703.808 an ounce, 902.318 an ounce and 1102.031 an ounce respectively. The 9ct non-hallmarked gold scrap, 14ct non-hallmarked gold scrap, 18ct non-hallmarked gold scrap and 22ct non-hallmarked gold scrap prices gained to 426.741 an ounce, 665.716 ounce, 853.481 an ounce and 1042.385 an ounce respectively. The February gold contract on the COMEX division of the New York Mercantile Exchange advanced by $7 to settle at $1,246.60 an ounce. The settlement was the highest for the contract since July 25.